The Nest Hello is a digital-video enabled doorbell, an outdoor camera with a loudspeaker and an alarm system. (Bloomberg photo by David Paul Morris). They won’t, but we can. We can already identify lines these technologies probably shouldn’t cross. So I spoke to lawyers, city officials and criminologists to make an ethical field guide for people who want tech to help us stay safe – but don’t want to be creeps, either. Over time, though, the cameras have captured a lot more than people pressing doorbells. With new models built into more places – outdoor floodlights, garage doors, even peepholes – they’re also recording the street and maybe the neighbors, too. Also: Let people know they’re on camera. Put up a sign to flag you’re filming – it might also deter a potential burglar. The District of Columbia pays a rebate on up to two cameras at a home or business, in exchange for signing up on a police registry. Michelle Garcia, who runs the program that’s paid for more than 10,000 cameras, says “law enforcement doesn’t have a right to the footage” – at least without a court order. She says she’s not encountered cases where people won’t share, and that usually people seek out the police with footage. The ACLU’s Cagle has some practical advice for camera owners: Just delete. It’s hard to understand today how footage might be used – or abused – tomorrow. “The more you have, the more vulnerable you are,” Cagle told me. If someone hacks into your security camera, you could expose all the people who’ve passed by your camera – including friends, family and yourself. Some of the responsibility is with the makers of these cameras to keep their systems secure. But we have to do our part, too, by updating software, using unique passwords and taking other security protections. If you aren’t sure you know how to do that, don’t buy one of these devices. 6. Facial recognition isn’t a product feature, it’s a superpower. The ability to keep tabs on a person’s whereabouts by reading their face is a superpower we don’t yet have the legal or ethical framework to handle. As the tech improves, it’ll be a slow march toward omniscience. 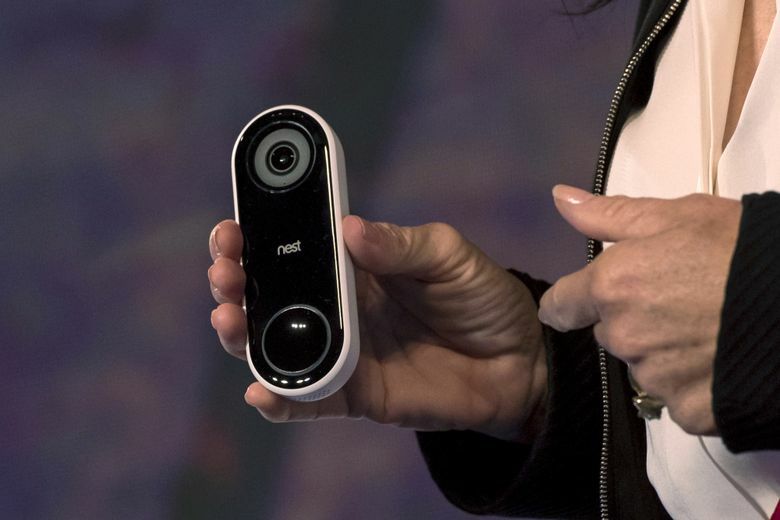 First, our cameras will offer to flag family members’ faces – Nest already offers that in its camera. Next, they’ll link to a few public databases: a terrorist watch list, missing kids, sexual offenders. But who gets to make those lists, and how accurate are the systems flagging people? Nest says its “familiar faces” service limits the library of faces to one family and is “not shared across users or used in other homes.” That’s for now, at least – Nest had no answer about future use.